Paul Streets OBE brings a wealth of charity sector experience to Cass and its Centre for Charity Effectiveness. 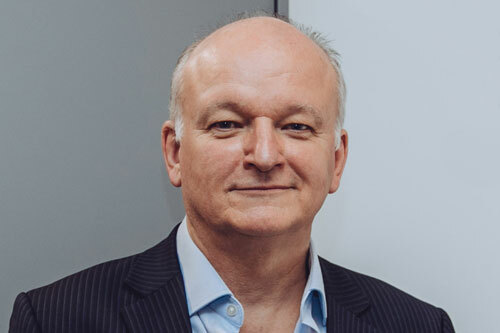 Cass Business School and the Centre for Charity Effectiveness (Cass CCE) are proud to welcome Paul Streets OBE as an Honorary Visiting Professor. As part of his role at Cass, Mr Streets will work directly with Dr Peter Grant on the Grant Making, Philanthropy and Social Investment Charities Masters Programme , support the work of the Cass CCE and the Business School on a wider basis. Mr Streets currently serves as the Chief Executive of the Lloyds Bank Foundation for England and Wales — one of the largest corporate foundations in the United Kingdom — and as a Non-Executive Director of the Central and NW London NHS Foundation Trust. Prior to joining the Lloyds Bank Foundation, Mr Streets worked in a variety of voluntary and public sector roles, including with SightSavers, the Department for International Development and Amnesty International; he has also occupied Chief Executive positions at Diabetes UK, the Health Development Agency and the Postgraduate Medical Education and Training Board. In 2003 Mr Streets was appointed an OBE for services to people with diabetes and was in 2018 named as one of the UK’s Top 25 Social CEOs, an award that celebrates brilliant charity leaders who are using social media and digital content to propel their charity forward. Mr Streets said he was delighted to be joining Cass as an Honorary Visiting Professor. “I have long admired the work of the Centre for Charity Effectiveness for its leading edge thinking on the sector,” Mr Streets said. CCE Director, Alex Skailes said Mr Streets would bring a wealth of experience to the centre and the Charities Masters Programme. “We are tremendously excited to welcome Paul and are delighted that all those who we work with will have the opportunity to learn from his achievements in the sector,” Ms Skailes said. “Paul has proven himself not only an excellent leader but also a leading thought leader in in the charity sector.